Fibr connection ---> 1. to my download rig 2. File/media server 3. Workstation PC 4. WIFI to about 4 people in the house connecting via accesspoint... any tips? How much are those routers? 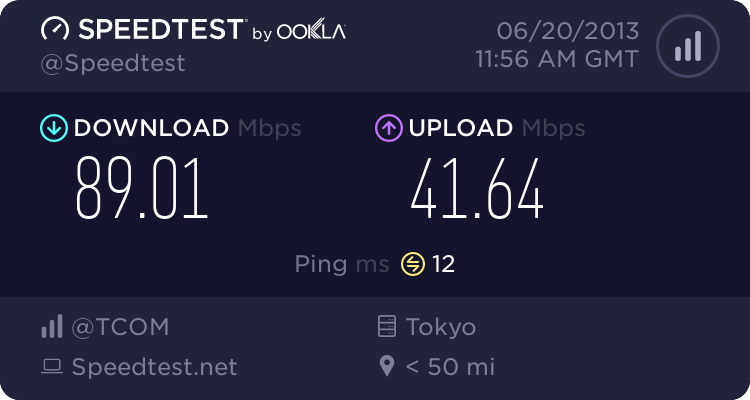 I used to just use cheapo Buffalo routers when I had 100Mbps fiber internet in Japan. the ER-X-SFP is basically just the ER-X with a Small Form-Factor Pluggable slot... which you won't need in a home environment - ever. You mean you got the Ubiquiti EdgeMax EdgeRouter Lite ERLite-3 512MB Memory 3 Ethernet Ports Router? I bought an asus ac68u 1900 router and had the pldt fbr modem on bridge mode. I plan to get what you have and make my asus ac68u 1900 on AP mode. My setup is a desktop computer to be connected via wired LAN, about 6-8 devices connected wireless, a nas box via wired lan which is connected to an android media box via wired lan to access files to play hd movies on my tv. Any ideas what I should do when I get the ubiquiti erlite 3? I am a real noob on netwroking. Is the ubiquiti easy to configure? Would it be also a good idea to make it as a switch? And connect my nas to it and some other stuff and still make the asus as a router? there's no point in getting the ER-Lite if you're just going to use it as a switch... for one, each port is isolated from one another - you'd have to create a the routing table if you'd want to configure it as a switch (think managed switched on steroids). technically, it's an enterprise router... it's easier to configure than most enterprise level routers but more complicated than your regular SOHO routers.